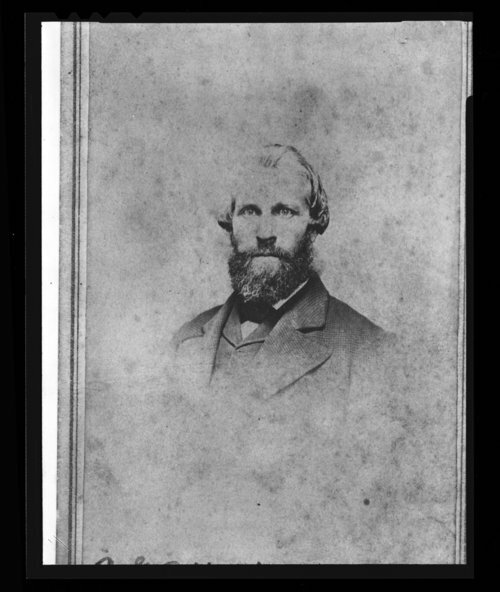 This black and white photograph shows newspaper publisher and editor Robert Gaston Elliott (1828-1917). He migrated from his native state of Indiana in 1854 to the territory town of Lawrence, Kansas. A supporter of the Free State movement, Elliott and his partner Josiah Miller established, on January 5, 1855, the Kansas Free State newspaper. The paper is considered to be one of the earliest papers in Kansas to write against the institution of slavery.